The makeup for bridesmaids is a good thing to consider ahead of the wedding day. Although your bridesmaids do not have a wedding makeup trial like the bride, it is good to come armed with some images of what you want to achieve for their makeup on the wedding day. Makeup for bridesmaids tends to be slightly softer than that for the bride. But if they are partial to a good amount of makeup then it can just be a good idea to go for a different look to the bride so that the bride still stands out from the crowd. 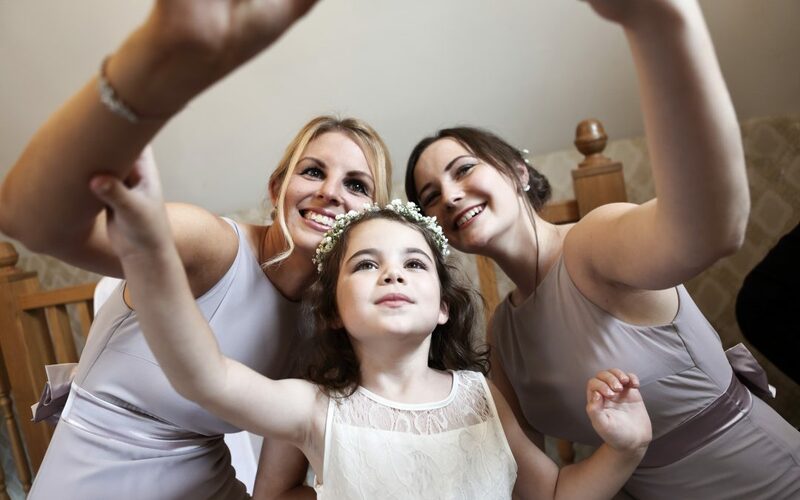 Makeup for bridesmaids should be dictated by your overall look, but it is best to consider each bridesmaid and what will make them feel most comfortable and like themselves within that brief. For example, the makeup for bridesmaids might be that they all have a uniform eye shadow colour and lipstick, but that they can have free rein over how much eyeliner they would like for example. A happy bridesmaid is worth having, so do not pressure them to have anything too different from what they would normally want. If your bridesmaids come to the decision together of a look that they all like for their wedding makeup then this will normally result in a good atmosphere and everyone looking wonderful and like a group.